With the release of the Next Generation Science Standards (NGSS), you need a resource to help you answer pressing questions about how the standards fit with your curriculum, instruction, and assessments. 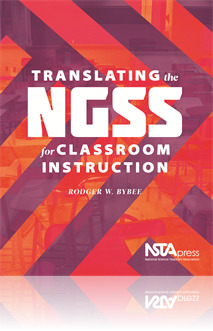 Rodger W. Bybee has written Translating the NGSS for Classroom Instruction to provide essential guidance for everyone from teachers to school administrators to district and state science coordinators. As practical as it is timely, this book includes an introduction to NGSS; examples of the standards translated to classroom instruction in elementary, middle, and high school; and assistance in adapting current units of instruction to align with the standards. Bybee notes that the success of the new standards depends greatly on teachers’ ability to give students opportunities to learn the science and engineering practices, crosscutting concepts, and disciplinary core ideas of the NGSS. Reading this book is an important first step toward addressing educators’ questions and concerns about how to provide those opportunities and implement the standards.